DAVID LE/Staff photo. 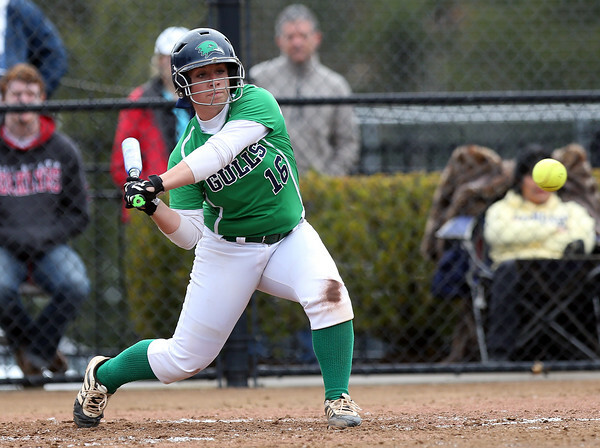 Endicott College senior Emily Hoffman keeps her eyes on the ball and bloops a RBI single into right against Roger Williams on Saturday afternoon. 4/23/16.